Friday Nights at NOMA features an exciting lineup of programs on select dates throughout 2019: live music, movies, children’s activities, and more. Regular admission prices apply—NOMA members are FREE—but there is no extra charge for programs or films. All galleries, the Museum Shop, and Café NOMA remain open till 9 pm. On February 8, The Indian Arts Circle and NOMA host an evening of cultural immersion in the Asian subcontinent. Sample food from local Indian restaurants, watch an acclaimed biopic of an Indian scholar, listen to the Indo-New Orleans fusion music of Andrew McLean, and join tours of NOMA’s Indian Art Gallery. Food will be available at booths on the entry circle from local restaurateurs, including Taj Mahal Indian Cuisine, Tava Indian Restaurant, and Silk Road Restaurant, along with specialties served at Café NOMA by Ralph Brennan. Andrew McLean, a native of New Orleans, was nurtured by guitar great Hank Mackie and then by world music and jazz faculty at UCLA’s department of ethnomusicology and the Ali Akbar College of Music. He pioneered the performance of Indian music in New Orleans, where he co-founded the Indo-New Orleans group Shringar (with Tim Green and Aashish Khan, eldest son of Ustad Ali Akbar Khan). His collaborative work with other world-class New Orleans musicians has included Henry Butler, Michael Ray, Kidd Jordan, Tony Dagradi, James Singleton, Steve Masakowski, Mardi Gras Indian Chief Smiley Ricks, and George Porter, Jr. 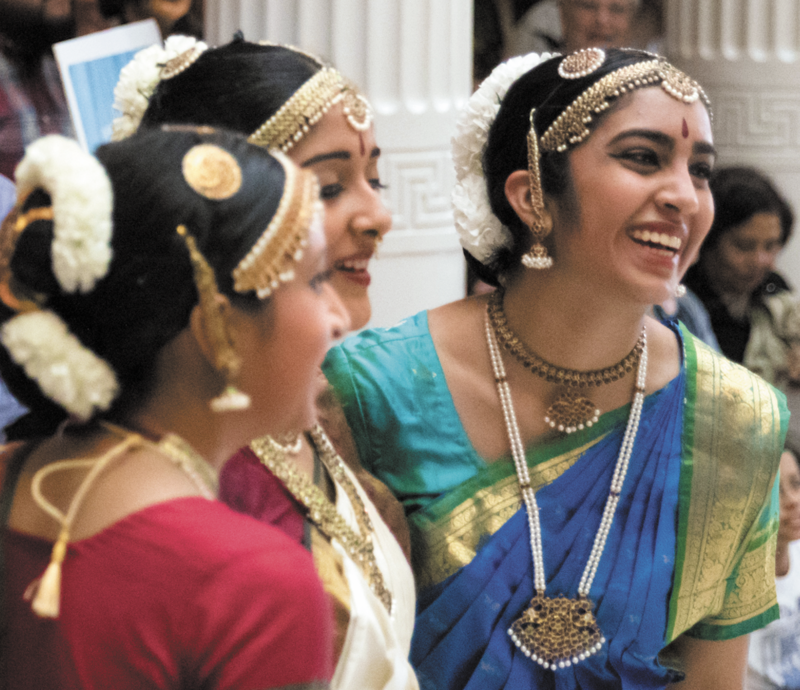 The Indian Arts Circle of New Orleans was formed in 1994 to foster the love of music and dance amongst the Indian immigrant community of New Orleans. The organization seeks to organize concerts by accomplished Indian classical performing artists; enrich the cultural life of New Orleans by introducing another element of music among the thriving indigenous jazz and blues tradition; and to increase awareness of the diverse classical heritage of India.